BUY ONE GET ONE FREE OFFER ! 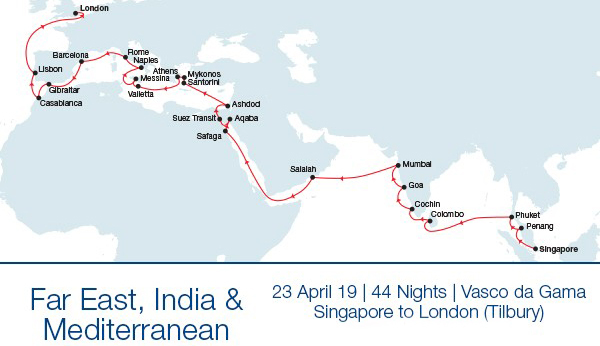 Vasco da Gama’s spectacular 44-night Maiden Voyage departs Singapore for London on 23 April 2019 and visits some truly breathtaking destinations; including Egypt, Greece, Italy & Morocco. Plus, you’ll also get the chance to transit the iconic Suez Canal on the way to Jerusalem. But be quick if you want to join us on this historic and momentous voyage. It’s BUY ONE GET ONE FREE, so spaces are limited. 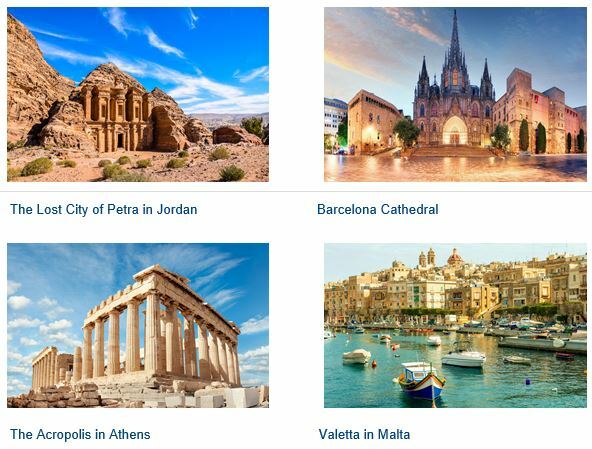 44-night cruise fares from $15,299.00* for Passenger One. Passenger Two sharing the stateroom sails FREE!